Crowded in a room at the Beedie School of Business in late October, we waited in anticipation for the first meeting with regard to the much celebrated MBA Games. This competition takes place in January over an entire weekend where students from across the country come together to compete in spirit, athletic and academic events. This year, the games were in Hamilton at the DeGroote School of Business. We were all so excited to get started and when the team captains announced the requirements for the spirit events, we all got to work. You see, so much preparation behind the scenes goes into these games. For my part, I was grouped with Danielle Friesen and Andrew Simard and we became responsible for creating a video entitled?“What Makes a Good Leader”. We had no further instructions from the organizing committee so we just ran with it. This video, along with volunteer hours in our community needed to be completed before the start of the games and would count toward our spirit points. The amount of hours spent thinking about the concept, developing our ideas, organizing filming sessions and editing the content were countless. However, what a great experience! 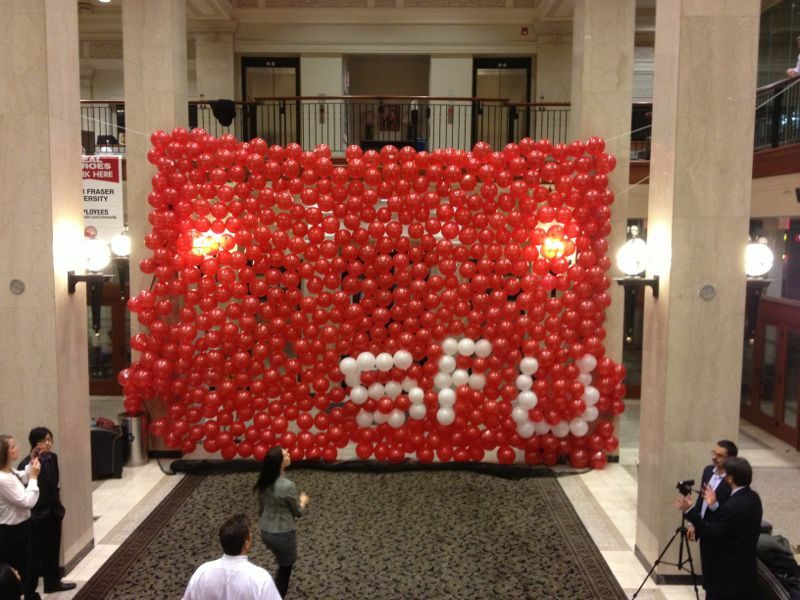 The final result was spectacular and everyone’s hard work paid off as all team members came together during the final day of filming to create what will forever be remembered as the “SFU Balloon Wall”. We presented the video, as did all other schools, during the opening ceremonies for the MBA Games on Friday January 4th. It was impressive to see how everyone had interpreted the tagline “What Makes a Good Leader”.? Some schools opted for a more comedic approach while others stuck to a very formal definition of leadership. There was so much cheering and excitement in the room with over 600 students dancing and cheering and just having a good time. The energy was palpable and I knew I had made the right decision in participating in these games. With all the hard work and dedication that goes into doing this MBA program at Beedie, this felt like the perfect reward. A chance to let loose, meet new people and create friendships that will last a lifetime. So many stories came as a result of this weekend together in Hamilton. Some of which you may have heard, some which may have been censored…hahaha. But one thing is for sure, no one ever regrets participating in the MBA Games! At the end of the games, during the closing ceremonies, all winners from each category were announced. Unfortunately, our video submission did not make top 3, but we had so much fun creating it that we still felt like winners. What a weekend. What an experience. Now it’s time to get back in the routine and hit the books once more!